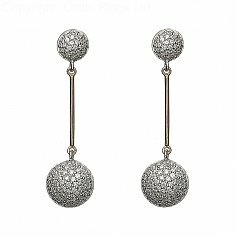 Looking for something a bit more unique? 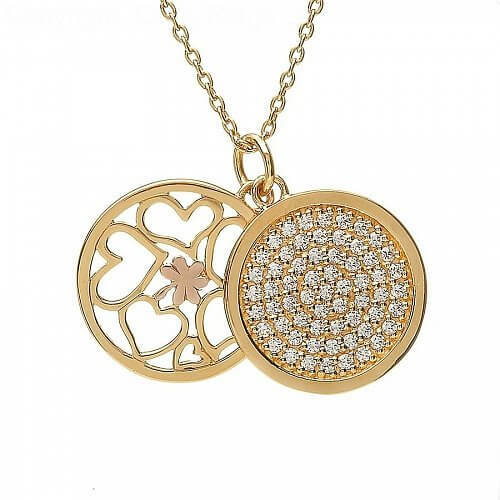 Look no further then our yellow gold plated double circular pendant with rose gold shamrock made from rare Irish gold. The first disc is covered in sparkling white cubic zirconia, while the second disc has several heart designs surrounding the shamrock center. Presented in a stunning wooden box, this pendant comes with a certificate of authenticity.